Two-piece midi dirndl in dark blue. The Elizan Dirndl features exquisite design details and subtle decorative elements. The corsage's front button closure is finished with bound buttonholes and round floral buttons. The box-pleat trim at the neckline is the only embellishment. 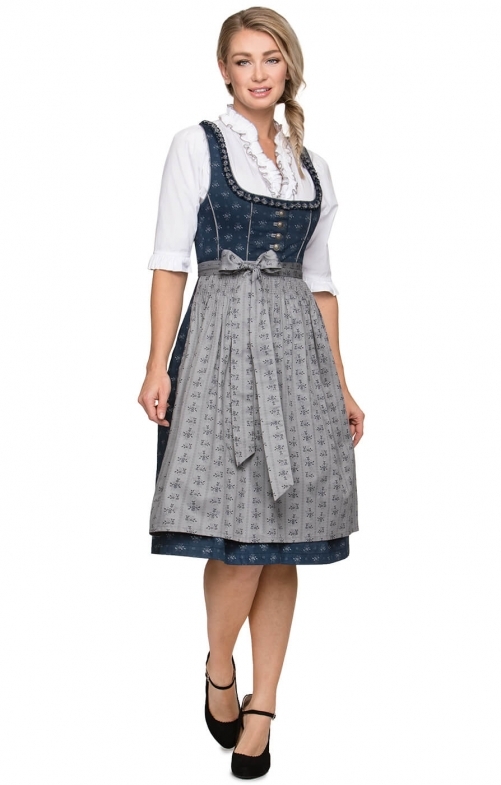 Contrasting prints in the dark-blue skirt and soft-grey apron harmonise beautifully in this elegant Bavarian Dirndl.